Have You Got Your 10 Love Commandments Poster Yet? Several times in Scripture the most important question a human being could ever ask was presented to Jesus, “Teacher, what MUST I DO to obtain eternal life?” Do you know Christ’s answer? In other words, do you know the correct answer to this question? Do you REALLY know WHAT YOU MUST DO in order to escape the horrifying punishment of hell, receive Christ’s forgiveness for all your sins, and obtain life in the joy and blissfulness of God’s eternal heavenly Kingdom? Jesus replied, “IF you want to obtain eternal life, KEEP the 10 (Love) Commandments” (Matthew 19:16-19). Wow, there it is … the CORRECT answer! Although it’s barely breathed today, that has always been and always will be the correct answer to that all-important question. Amazingly, God’s Word has many other ways of expressing the phrase “Keep the 10 Love Commandments”. In other words, there are many other terms and phrases used in the Bible that when carefully studied to their root connotations all mean exactly the same thing … “KEEP the 10 Love Commandments”. This understanding is priceless, and yet sadly, little known in today’s church world. God has created an INCREDIBLE poster in these last days called The 10 Love Commandments Poster, and it’s chalked FULL of wisdom. It is like the Bible’s salvation decoder, and the solution to the Bible verse puzzle. 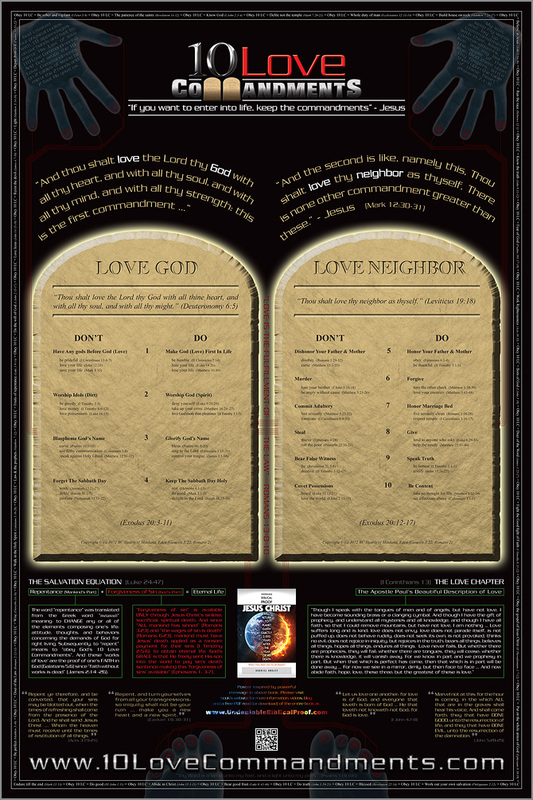 The central portion of the poster contains knowledge about the 10 Love Commandments, how ALL damnable sin is based on their disobedience, and much more. But surrounding and enclosing that information, all the way around the border of the poster, are many of the terms and phrases the Bible uses to express the phrase “KEEP the 10 Love Commandments”. 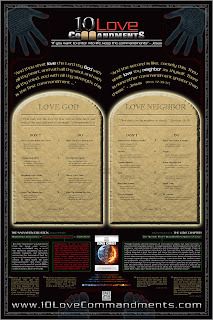 I sincerely hope and pray you will desire to acquire one of these posters, hang it on you wall, study it diligently, and then let it be a source of inspiration for you and others to always desire to “KEEP God’s 10 Love Commandments", thereby DOING what WE (as human beings) MUST DO to obtain eternal life! Approximately 807 Weeks (Sabbaths) Remaining Till Christ's Return! We Can’t Stop Massive Asteroid from Hitting Earth! After last month’s scary meteor explosion incident in Russia, asteroids were up for discussion again this week in the US Senate. 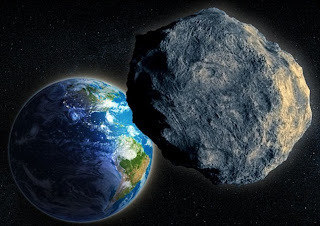 The brass tax – right now, as of today, mankind has almost no chance of stopping a massive asteroid from striking planet Earth if one is on the way! The sheer physics of the cosmos make it nearly impossible. Shockingly, scientists told the senate a one kilometer (0.62 mile) or larger diameter asteroid can strike Earth with a frequency of every few thousands years! “What would an asteroid that is a kilometer in diameter do if it hit the earth?” Senator Bill Nelson asked. “That is likely to end human civilization!” replied former astronaut Ed Lu, who is now head of the asteroid hunting B612 Foundation. It was a stone “cut out without hands” that Nebuchadnezzar saw in a dream striking the feet of a symbolic world-kingdoms metallic image, obliterating it, until “the stone that smote the image became a great mountain, and filled the whole Earth” (Daniel 2). God said it like this in The Revelation: “And the seventh angel sounded: and there were great voices in heaven, saying, The kingdoms of this world are become the kingdoms of our Lord, and of His Christ; and he shall reign for ever and ever” (The Revelation 11:15). Charles Bolden (NASA) told the House Science, Space, and Technology committee scientists have identified 95% of asteroids more than a half-mile in diameter. Is it possible God could keep hidden from mankind (until the moment it’s too late to do anything about it!) a terrifyingly large asteroid capable of destroying planet Earth by setting its entire surface on fire? One that could, “shake the heavens, and the Earth shall remove out of her place, in the wrath of the Lord of hosts, and in the day of his fierce anger” (Isaiah 13:9-13)? One He set in motion from the Creation of the World, prepared for its exact prophetic time of fulfillment (6,000 years)? You decide. "Scientists: No Options To Stop Massive Asteriods"
"Money Needed To Prevent Big Asteroid Strike"
Don't forget Christ's Passover this week (March 25-26)! Approximately 808 Weeks (Sabbaths) Remaining Till Christ's Return! We Have A Pope: Argentinian Jesuit, Jorge Bergoglio! God was busy working this past week: He pushed a “bishop” into position on His masterful end-times prophetic chessboard. Adorning a white cloak, a humble look, and a sly smile, a newly elected pope (Jorge Mario Bergoglio) stood on a balcony overlooking a sea of exuberant people in St. Peter’s square this past Wednesday March 13, and addressed the people, “And now let us begin this journey, the Bishop and people, this journey of the Church of Rome, which presides in charity over all the Churches.” And with that … it’s time to play! First off, Bergoglio is a Jesuit, the legendary order of Roman Catholic priests created in the 16th Century who are unusual in the Church because they take a vow of obedience to the pope. It’s a contradiction, to say the least. Who will the pope obey now? The Jesuits’ official name is “The Society of Jesus”, but they have also been known as “The Vatican Shock Troops” and “God’s Marines”. “I am a bit shocked by the fact we have a Jesuit pope,” said Vatican spokeman Rev Federico Lombardi. Secondly, Bergoglio took a brand new papal name to rule under – Francis I. Saint Francis (born circa AD 1182) is best known for choosing to live a life in direct alignment with Jesus’ teachings; he forsook all and lived in rags among beggars at St. Peter’s Basilica. He is held in high esteem among Catholics. “Who doesn’t know the Francis of Assisi, who abandoned everything from wealth and prestige and who became poor himself,” said Vatican deputy spokesman Rev Thomas Rosica. Is Pope Francis truly humble? I don’t know. Will the power of his position (and Satan’s temptation) puff him up over time? I don’t know. What I do know is we have roughly 15 years left until the “end” of ALL things in this 6,000 year age of sin as prophesied in the book “Undeniable Biblical Proof Jesus Christ Will Return To Planet Earth Exactly 2,000 Years After The Year Of His Death”. Therefore, we have around 8 years left until the Antichrist comes peacefully onto the world scene. Will “Francis” be the pope then? Is he the False Prophet? Could he be the Antichrist himself, coming as an angel of light, cloaked in “humility”? Time will certainly tell. Please, pray for him! 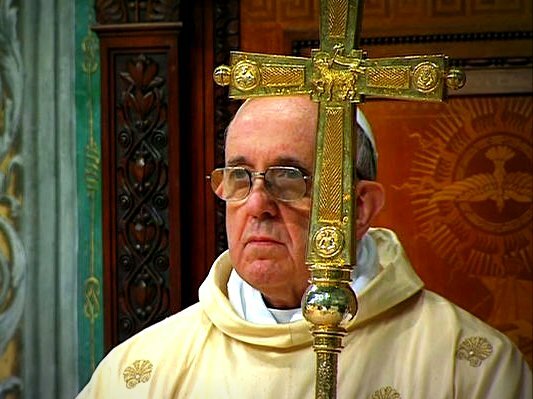 "New Pope is Argentine cardinal Jorge Bergoglio"
"First Jesuit Pope brings new concerns, new style"
"The speech by Pope Francis"
Approximately 809 Weeks (Sabbaths) Remaining Till Christ's Return! In these very last of days, God is actively and passionately controlling certain people and events, like a masterful chess player aligning pawns, knights, bishops, rooks, queens, and kings for the win, because something of paramount importance is at stake … HIS WORD! God has made countless prophecies (written & recorded in the Bible) concerning the time immediately preceding His son Jesus Christ’s return to Earth, and they ALL must be fulfilled in the minutest detail or He is not the one TRUE living God. In other words, God’s name and character are at stake! And therefore, I promise … HIS Word WILL be accomplished. One of these last-days’ events God is controlling to happen is the rebuilding of the 3rd Temple on the Temple Mount in Jerusalem, Israel. Why? Because God made several prophecies in His Word proclaiming the Antichrist, or his image (known as the “abomination of desolation) will stand in the Temple, or the “Holy Place”, proclaiming himself to be God just a mere 3½ years before Christ returns: “Let no man deceive you by any means: for that day (Christ’s return) shall not come, except there come a falling away first, and that man of sin (Antichrist) be revealed, the son of perdition; who opposeth and exalteth himself above all that is called God, or that is worshipped; so that he as God sitteth in the Temple of God, shewing himself that he is God” (II Thessalonians 2:3-4). If you’ve read the powerful book I wrote “Undeniable Biblical Proof Jesus Christ Will Return To Planet Earth Exactly 2,000 Years After The Year Of His Death”, you know mankind has roughly 15 years left until the rapturous return of Jesus Christ at the end of the Antichrist’s wicked reign. This means the 3rd Temple in Jerusalem will be rebuilt before a dozen years transpire. Keep those eyes peeled! This Sunday, March 10, 2013, The Temple Institute will hold its fourth annual International Temple Mount Awareness Day, a 3 hour live video feed of Temple education and consciousness. If God’s masterful last-days chess-playing is of interest to you, please tune in online this Sunday. Approximately 810 Weeks (Sabbaths) Remaining Till Christ's Return! Hey, modern day churchgoer, are you ready for the Truth about salvation? Are you ready for the Truth (the WHOLE TRUTH!) concerning what YOU must DO to obtain eternal life? Well, if so, then here's a 100% truthful statement: What YOU have to DO so that you might have eternal life has NOTHING to do with what JESUS had to DO so that you might have eternal life! In fact, what YOU have to DO so that you might have eternal life doesn’t even have anything to do with you hearing, learning, knowing, or believing in what JESUS had to DO so that you might have eternal life. Are you shocked? Puzzled? Mad? Listen, there are many young (but well known) salvational questions floating around in today’s church world breeding nothing but confusion and false hope among congregants concerning what THEY must DO to obtain eternal life. A few of these questions are … “Are you saved?”…“Have you received the free gift of salvation?”…“Have you accepted Jesus Christ as your personal saviour?” Make no mistake, in the mind of the asker, a “Yes!” reply to these questions means YOU have DONE whatever it is they believe YOU must DO to obtain eternal life, and a “No!” answer means you have not. But do you have any clue what these questions mean? What are they asking? What does a “Yes!” to these questions mean you have done? Does it have something to do with you hearing, learning, knowing, or believing in what Jesus had to DO so that you might have eternal life? 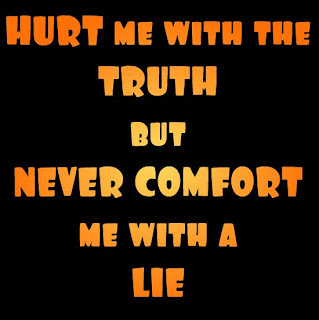 If so, then reread my first paragraph and soberly realize the questions themselves are deceptive and incorrect! Thankfully, God has revealed a wonderful equation in these last days to make all things concerning salvation easy to understand. It’s called The Salvation Equation, and it’s fully explained at the web address 10LoveCommandments.com. Consequently, if you want to understand the FULL TRUTH about salvation and what YOU must DO to obtain eternal life, please visit the link below and spend a little time reading. Approximately 811 Weeks (Sabbaths) Remaining Till Christ's Return!